As one of the leading medical research universities in the country, Missouri has a major advantage in Washington University in St. Louis (WUSTL). WUSTL consistently ranks among the top universities as it related to medicine, entrepreneurship, business and more. U.S. News & World Report ranked the university No. 7 in medical research schools in 2017. The Princeton Review ranked it No. 10 out of the top 25 schools for entrepreneurs. Almost 5,000 degrees were awarded by the university in 2016-17. Total enrolment for the university is 14,385. Some of the university's most prominent areas of study are medical, environmental, plant science and innovation and entrepreneurial research. The university has more than 3,000 research projects annually. And in 2015, the university issued 159 invention disclosures. "We have excellent professional and undergrad education programs and research associates," says Holden Thorp, provost of WUSTL. 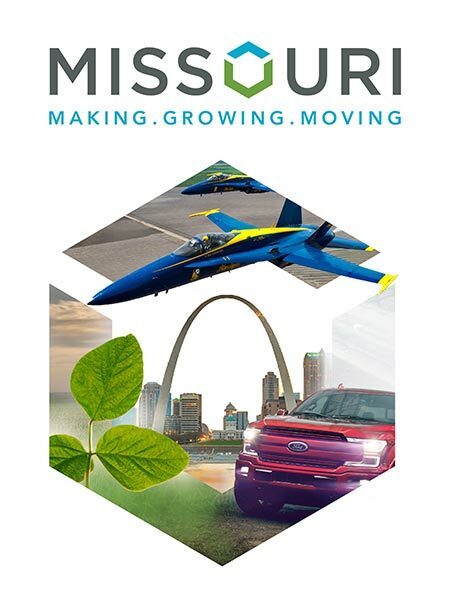 "And we are focused on making those programs as strong as we can make them, but also making sure that they benefit St. Louis and Missouri in whatever ways we can. We're driving entrepreneurship and innovation in St. Louis and we've had a lot of success with that." The university is committed to advancing scientific knowledge and working to advance the St. Louis biotech and startup community notes Thorp. In 2002, the university was instrumental in the foundation of the Cortex Innovation Community, a 200-acre innovation hub and technology district in St. Louis' Central West End neighborhood. Cortex serves as the region's anchor for its ecosystem of innovative startups in the medical, biotech and life science fields. More than 250 companies currently call the community home. "There are a lot of talented people in our university, both faculty and students. Much of the know-how and innovation that exists in health care today is being created by our researchers." Research coming out of the university has included some of the most impactful and life-saving medical milestones. Researchers with the university developed screening tests that are used around the world to diagnose Alzheimer's disease, were among the first to use insulin in the treatment of diabetes and published the first evidence connecting lung cancer and cigarette smoking. Current researchers are working toward understanding and treating the Zika virus, Alzheimer's, stroke, heart disease and many other health conditions. In addition to training students at the university's School of Medicine, the Washington University Medical Center is a cornerstone of the St. Louis health care community. Located adjacent to St. Louis' famed Forest Park, the 164-acre medical center is home to Barnes-Jewish Hospital, St. Louis Children's Hospital and the Alvin J. Siteman Cancer Center. More than 21,000 employees work at the combined medical center institutions. WUSTL's historic Danforth Campus, which is home to most of the university's academic programs, is located a short distance away on St. Louis' western border.